As many of you know, I am a big fan of using news events to extract lessons for the local workplace. Every week, a public figure will do something unhappily noteworthy that provides for great debate! 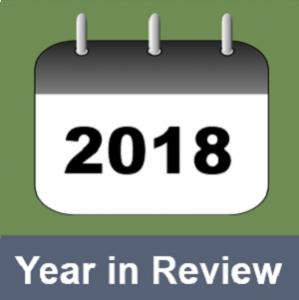 As once again we reach the end of the year, we look back to see what 2018 has offered up. Happily, this year provided some wonders to reflect on. In July, the world pooled its resources- physical, financial and capability- to rescue for a small band of trapped teenagers from a cave in Thailand. Inspired by a shared and compelling purpose, driven by a clear plan and distinct roles, individually courageous divers and medics from multiple countries with different languages worked tirelessly against the elements and the odds to bring the children to safety. And let us also not forget the football coach, who kept hungry, cold, cramped and terrified little boys motivated, cohesive and calm in the many days before rescue arrived and when it must have seemed to him impossible that it would. At the other end of the inspiration ledger, we have the Royal Commission into Misconduct in the Banking, Superannuation and Financial Services Royal Commission, which at times felt like stepping into Lord of the Flies. Do you understand who all your stakeholders are? Have you balanced their interests proportionately and what processes do you have in place to assure this? Does the buck stop somewhere in your bit of the organisation and how is accountability actually made tangible and perhaps public? What behaviours are your processes and reward systems actually driving? Do your governance and audit systems operate at sufficient arms length of the centres of power in the business to have any real traction? In the cases of the financial institutions, despite everything pointing in the other direction, it would appear that some ethically grounded employees stepped up to those in power and shone a light in dark places. At best, it would seem they were brushed aside. More commonly they suddenly found themselves the target of unrelated allegations and were driven out. And therein lies everything important organisations need to know about the reason for a bystander culture. Attacking or shutting down the person who speaks out can also happen daily in a micro sense in organisations. This absolutely sets the culture for when something really problematic occurs. The more hierarchical the culture, the more domineering the leader, the higher the risk. How do you balance a complainant’s request not to be identified and the employer’s obligation to act, in the face of a workplace safety laws? Can you provide any degree of anonymity to any party without subverting natural justice and how? 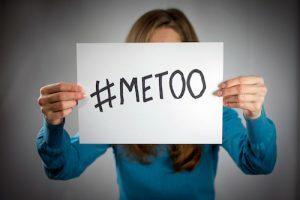 At the other end of the confidentiality spectrum, what role is social media or other publicity going to play in work place disputes going forward and can or should this be controlled? Is a third party raising someone else’s complaint a well motivated upstander or are they pursuing a personal agenda? Does it matter? How can an employer discover whether the issue reported is isolated or part of a systemic organisational culture? Certainly new thinking may be needed to address sexual misconduct allegations over the coming period. Another corporation in the news this year was the ABC, under the spotlight after the board sacked CEO, Michelle Guthrie. adopting a transparent performance management process based on identifiable and tested evidence, especially if you intend to use it to sack someone. the need to be transparent as to the purpose for which you will or may use 360 feedback processes. Ultimately, it also points to the need to consciously consider, segregate and sequence performance management issues and unrelated complaints involving the same parties. As ever, documentation to demonstrate your process is crucial at all stages, especially if you terminate someone’s employment. Finally, any reflection on 2018 would be incomplete without looking at our world leaders. I am increasingly struck by the importance of the quality of equilibrium as a key attribute in leadership. The ability to self- regulate and control emotions, to respond after reflection and in a measured way; the inner strength to hold a position without needing constant external approbation; the confidence to seek out, and the humility to listen to, the perspective of others, without needing to be always right or always best; the wisdom to build consensus through respect and a sense of optimism and future possibility without hubris. All contribute to a maturity and wisdom we value in those we are expected to follow. So what are my 10 learnings for 2018? All projects will run better with a clear and compelling objective, an understood plan and clearly allocated roles. Set clear objectives for employees and measure based on evidence. In the face of uncertainty, change or risk, a leader who is optimistic and calm is worth their weight in gold. Put people in positions of power who have a degree of inner resilience and a track record of self regulation and humility and help existing leaders become self aware. Understand what behaviours your systems and rewards are actually driving, intentionally or otherwise. Ensure your audit and governance processes are genuinely independent, resourced and have adequate powers to call the most senior to account. Give serious consideration to and then articulate precisely what confidentiality means in your complaint processes. Handle complaints dispassionately, without targeting the complainant. Segregate complaint management and performance management. Conduct periodic independent reviews so you know what is really going on in your organisation.